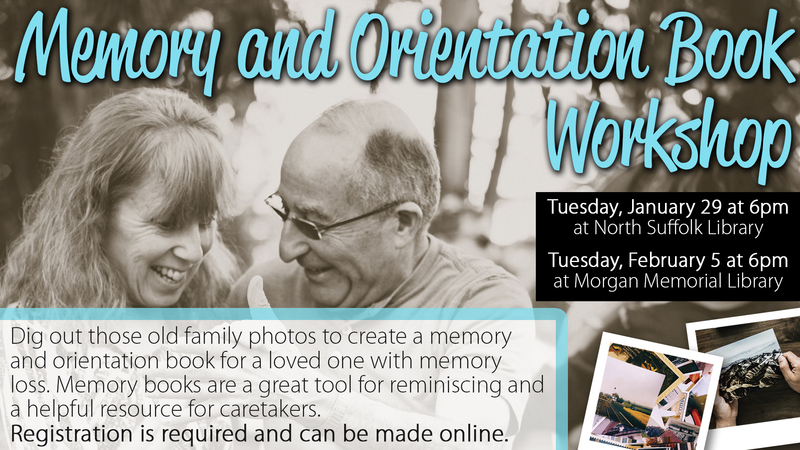 Dig out those old family photos and bring them to the library to create a memory and orientation book for a loved one with memory loss. Memory books tell a person's life history through pictures and stories, and are a great tool for reminiscing and a helpful resource for caretakers. Supplies are provided, but attendees will need to bring family photos of special events or important moments in either print or digital form.